So, the beautiful city (and state) of Oaxaca in southern Mexico is facing the brutal tactics of a newly elected right wing governor. 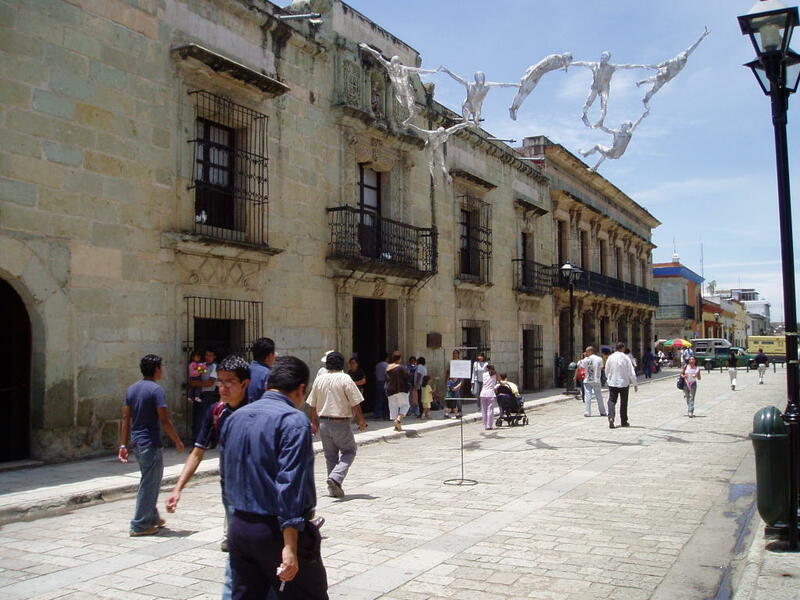 A visit there finds the old Spanish-Colonial city, perfect weather, ancient ruins (Monte Alban), and a rich and lively indigenous culture, second in numbers only to the adjoining state of Chiapas. Of course, the governor is taking issue with any kind of action by existing indigenous groups along with those that support them. Indymedia has some articles that detail the goings on from the point of view of the oppressed. It sounds scary, as the police supported paramilitaries are reportedly running free, and doing what they do best - perpetrating violence against the poor indigenous population of the region. Such a beautiful place must still suffer the violence of the conquest now over 500 years old.